Sorry with the VCCIO... this chip (FT230X) must have it at 3.3V (or less) (as you have drawn it, so that is OK). The older ones could have it optionally at 5V. But than the driver resistor R18 for the LED should be 560Ohms. The diode D12 is not needed. 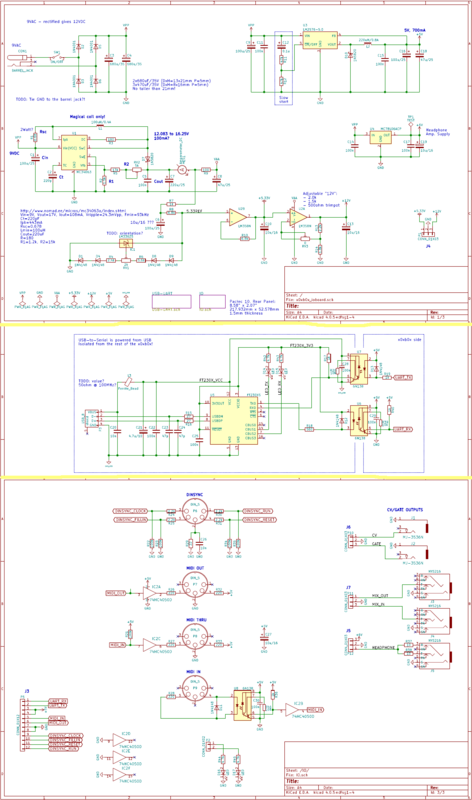 Data sheet, page 25 http://www.ftdichip.com/Support/Documen ... FT230X.pdf shows how to connect LEDs for RX and TX. The "bussed" ones really save space, as they have one common pin for several resistors. Unfortunately we have only one application for them: the four 100k Ohms. so i wonder, is there a catch? Interesting topic! Ive got my x0x open atm for adding some mods, so might give Nordcore's idea a try! ive got a dual channel scope, but not really very experienced with using it. i shall try. if you dont mind, since this thread is active, can i ask another couple of questions? 1- If i wanted to power the x0x from a standard MOTM type +/-15v PSU, can this be done? 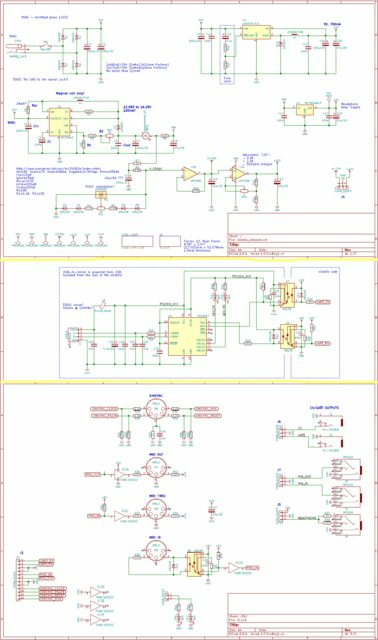 I guess i could regulate down to 12v and inject it aat point d40/d43? would i need to remove d41 and d42? oh, apologies, i though id read through thoroughly, must have missed that part. but thinking about it then, as the motm is (regulated) 15v, that could go directly to point where d5, d43 and c5 meet (?) this should just be enough for the opamp to regulate down to 12v? could then add nordcore's lm317 mod just after that. or maybe id need a LDO version of the 317. hmm. happy to try it but thought id run it past some people who seem to know more first! is there any risk of killing anything valuable? but if you do that, then what will the voltage at C3 be? thanks antto. sorry missed this reply. yeah i think im going to forget it tbh. i have built Nordcore's mod from p1 too, on some stripboard, but was sure how best to attach - is there a clever way to insert it without cutting a trace? ive got a scope, but not very good at using it tbh.